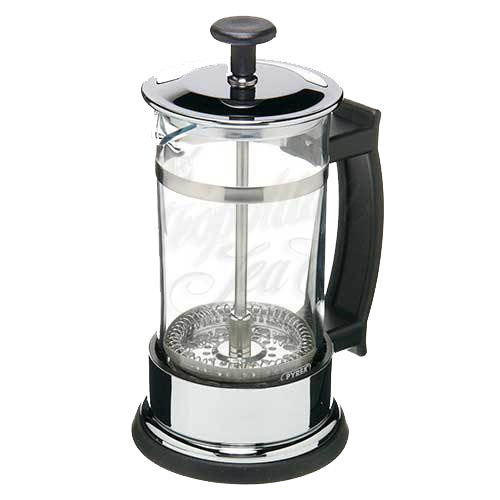 The ideal instrument for brewing a perfect cup of tea, the Dimbula French Press allows tea leaves to interact fully with the water for maximum flavor. This press is equally adept at making coffee. Made of Pyrex heat proof glass, an 18/8 stainless steel chrome plated frame and plunging mechanism, with BPA free inner lid.